Then I use this Java code from Delphi trough Java generic import and JNI. For implementing existing third party SDKs like MoPub, TapJoy, Millennial Media, Google Play Services, Flurry, Chartboost, Upsight, or even new Bluetooth functionality for Android in Delphi XE5, Delphi XE6, and AppMethod this may be the fastest way. 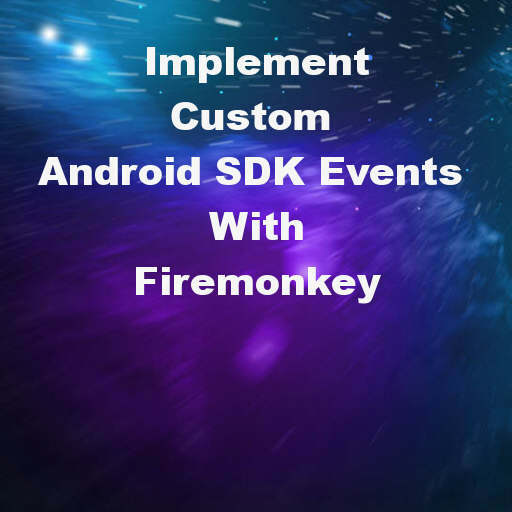 Head over and download the samples from Brian Long on customizing your Firemonkey classes.dex file.